In the second half of september 2016 I had a week off work that I used for a trip to some – for me – unknown territory: the Czech and Slovak republics. Day 1 of the trip was the day to cover most of the distance: destination Dresden. I would use the following days to follow the Elbe river to Usti Nad Labem, and then follow the freight trains and see where I end up. 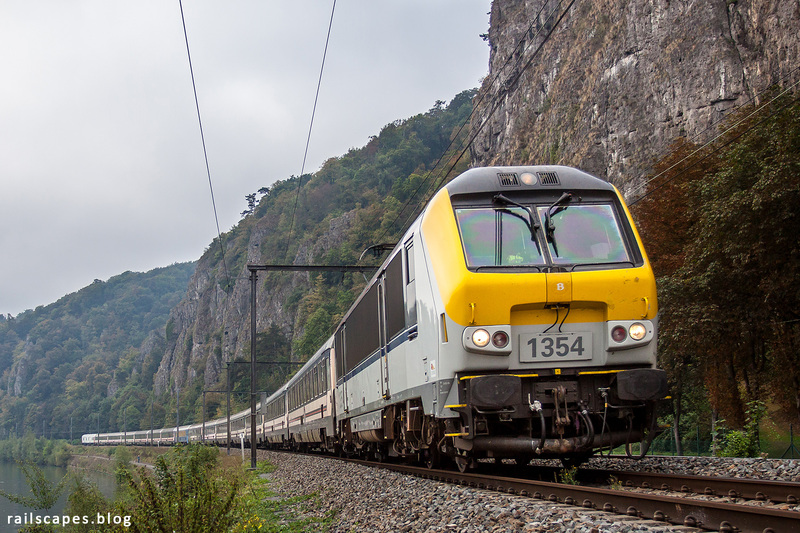 First stop was still in Belgium though, to make a photo of a pilgrimage train returning from Lourdes. I met up with a friend in Marche-les-Dames, where the train passed us on the track that’s normally used for trains in the other direction. Never mind, the steep rocks still look impressive.